Since 2014, Ukraine has faced a conflict with Russia which annexed the Ukrainian territory of Crimea. The fighting against Russia has provoked violence and criticism directed at the government, the oligarchs and the Jews. There are approximately 430,000 Jewish people living in the Ukraine. This is just 0.1% of the total population. 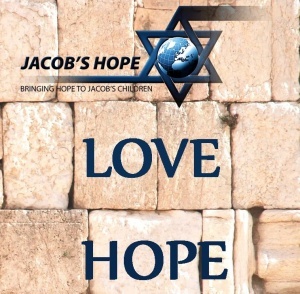 Jacob’s Hope has partnerships with Messianic groups which minister to the Jewish people in this country. There are many Jewish people around the world who are apprehensive and searching for relief and hope. We know that their only hope is Yeshua. The enemies of Israel in the north, south and beyond are constantly advancing their evil threats. Pray for the Lord’s protection over the soldiers and the land; the soldiers will be alert and brave; they will have adequate materials for their duties. Pray the Iron Dome will continue to be effective and new technology will perform as designed.